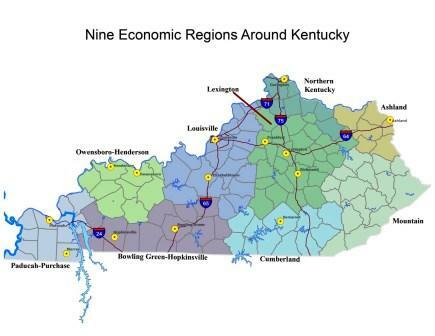 That there are more new business and industry announcements coming out of Northern and Central Kentucky than out of eastern and western ends of the Commonwealth is not just paranoid imagining. No less a business friendly group than the Kentucky Chamber of Commerce found Northern Kentucky thriving in income and job growth. Neck in neck with that region - Lexington and Louisville. One of the cited reasons - more commerce moves north and south than east and west. One only needs to travel on I-75 or I-65, to confirm that those highways are busier than I-64 or I-24, the east - west interstates.